Security improvements are being planned for Kilimanjaro International Airport (KIA) as it aims to establish itself as one of the best in sub-Saharan Africa. 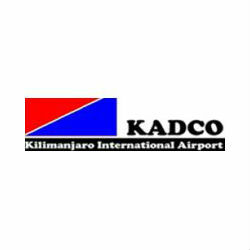 The improvements have been introduced as part of a wider strategy to increase air traffic to the airport by the Kilimanjaro Airports Development Company (KADCO). New measures will include six new security groups from the local area engaging in regular security patrols of the airport as well as a renewed focus on drug trafficking. Bakari Murusuri, Acting KADCO Managing Director stated that the new security measures would help enable KIA achieve its goal of attracting more airlines. The new security improvements are in addition to improved runways, apron, passenger building and expansion of the airport which is being partly funded by the Netherlands. Passenger numbers at KIA have shown steady growth along with the Tanzanian tourism industry as a whole with passenger throughput more than doubling in the last decade from 200,000 in 2002 to over 650,000 in 2012.